← The Point of Appearing at Creativ Festival? It’s ‘rabbit’ season… no no… it’s ‘duck’ season… Scuse me Daffy and Bugs, it’s neither… it’s Easter! Your both safe unless you are made of chocolate! Today, Diva Dan went pattern diving on Lion Brand Yarns’ free patterns. He was inspired by what can be found or be cute inside an Easter Basket. I have a list of free patterns he located. 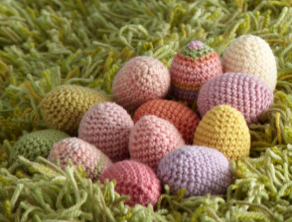 Cute little fun projects for crocheters. Don’t forget, Lion Brand has their secret 50% off Yarn Stash. See Lion Brand Discounted Yarn to see jaw dropping specials. Don’t forget you will need to use your free Lion Brand Membership to see and use these patterns. Once you log in to Lion Brand, you can come back here and select more from our list of cool projects. 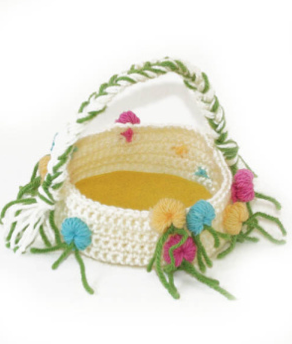 This entry was posted in General Holidays, Lion Brand Yarns and tagged Basket, Bunny, Carrot, Chicken, Crochet, crochet crowd, Easter, Egg, Free Patterns, Lamb, Lion, Lion Brand. Bookmark the permalink.